Margaret Culkin (christened Marguerite by a French priest) was born on March 18, 1891, in Buffalo, Minnesota. Her parents were William Edgar Culkin and Hannah Alice (Young) Culkin. William was an attorney who served three terms as county attorney of Wright County and one term as a state senator from the 38th district. In 1897, he was appointed by President McKinley to the post of Register of the Land Office in Duluth, and the family moved north. When that position ended, he practiced law in Duluth, retiring in 1915 because of hearing loss. He remained active, though, as an editorial writer for the Duluth newspapers. He was also a founder and the first president of the St. Louis County Historical Society. In Duluth, the Culkins resided in a house at 2328 Woodland Avenue. Their other children were Mabel Louise, born April 7, 1888, who earned B.A. and M.A. degrees from Columbia University, taught kindergarten in Duluth, ended her career as an associate professor of English at the University of Minnesota, Duluth, and died on February 4, 1968; William A., born September 25, 1896, a graduate of Cornell University who served in the Air Force in World War I, had a very successful lumber business in Washington State, and died on September 24, 1988; and Dorothy Barbara, born in March 1898, who trained as a singer, worked as a newspaper reporter in Chicago, and died suddenly of pneumonia in New York City on December 28, 1935. Margaret lived in Duluth from the age of six. She attended public schools and graduated from Duluth Central High School in 1907. At Central, she served as associate editor of the yearbook and acted in the senior class play. She also wrote a humorous poem about athletics for the yearbook. After graduation, her parents, thinking she was suffering from consumption, sent her to Rochester, New York, where William’s brother, a physician, lived. There she lived in the Convent of the Sacred Heart for a year. Next, she was off to Poughkeepsie, New York, where she attended Vassar College, studying economics and creative writing. After graduating from Vassar, she studied at the University of Chicago and received a master’s degree in settlement work, an early term for social work. She returned to Duluth and in the fall of 1913 began work as director of the Duluth Social Center, a popular program that used schools as community gathering places for lectures, physical activities, and entertainment. On October 13, 1914, Margaret married Duluth attorney Archibald T. Banning. They eventually bought a house at 55 Kent Road. Archibald and Margaret had four children, two of whom died at a very young age: Mary Margaret Banning was born on October 1, 1915; Archibald Tanner Banning was born on December 17, 1918; William Culkin Banning was born on March 4, 1920, and died on March 31, 1922; and Margaret Bridgid Banning was born on August 24, 1923, and died on May 18, 1925. 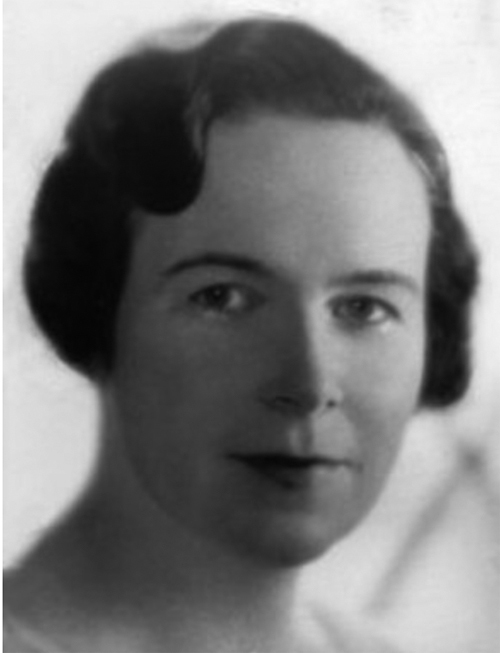 Archibald developed problems with alcohol and the couple separated around 1926; Archibald moved to New York City. Around that same time, Margaret was having a house built around the corner at 617 Irving Place, and she moved there in 1927. The couple was divorced in 1929. Always interested in writing, Margaret published her first novel, This Marrying, in 1920. She followed that up by publishing a new book about every year into the middle 1940s, and in addition published hundreds of short stories and essays in magazines such as Ladies Home Journal, Harper’s, Woman’s Home Companion, and Saturday Evening Post. The last of her more than forty books, Such Interesting People, was published in 1979. She often wrote on controversial topics for the times, such as birth control, working women, and mixed marriage. In addition to her writing career, Margaret was very active in the community, serving for many years on the Duluth Library Board and working on local projects. She became an activist for national causes and was busy with speaking engagements around the country. She also had a weekly radio program on NBC in the early 1940s. She was an active member of the Republican Party. In 1935, she was selected as the first member of the Duluth Hall of Fame. On November 15, 1944, Margaret married LeRoy Salsich, president of the Oliver Mining Co., in New York City. They resided at 60 East Kent Road in Duluth. He died on October 26, 1957. On May 21, 1969, Duluth celebrated “Margaret Culkin Banning Day” to honor her on the publication of her book, Mesabi. Margaret continued to write for the rest of her life. She died on January 4, 1982, in Tryon, North Carolina, at the age of 90.